Flying is bad for the environment and a major driver of climate change. The number of flights is forecast to more than double over the next few decades, making the problem worse. 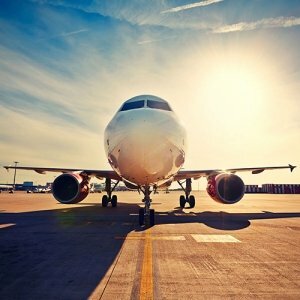 Flying is the fastest growing cause of climate change. Air transport emits more greenhouse gases than any other form of transport measured per passenger-kilometre. This factor multiplied by the enormous distances air travel can allow produces a huge environmental impact. In addition to greenhouse gases (GHGs), particularly C02, aircraft also create condensation trails (contrails) which also have a greenhouse effect. Whilst air transport produces a relatively small percentage of global GHGs (about 2%) it is also the fastest growing cause of climate change. At the current growth rate of 2% a year global air travel will double in less than 30 years. It is also important to keep in mind that 95% of the world’s population have never flown. Air travel is relatively expensive and it is richer people in richer countries who are the main air travel culprits. For example approximately 6.3% of Britain’s GHGs in 2005 came from flying, according to the Department of Transport. It is much more than this if you include the emissions from activity directly related to air travel, including the production of aircraft, airports and aviation fuel. Until new technologies are developed to replace the use of fossil fuels for powering aircraft engines there are only two strategies for sustainable air travel: reduction and mitigation. The most effective way to reduce emissions is to simply fly less, or better still not fly at all. There is no doubt that many business trips by air could be avoided using telecommunications or by simply being better organised. Mitigation main involves the purchase of carbon offset credits. The proceeds of which will go towards the development of renewable energy resources or carbon sequestration and storage e.g. tree-planting. It’s not just the transport of people, air freight is growing too. The explosion of global trade means that the air freight of goods is growing. It is best to buy locally made goods but even if you buy imported goods it is better to buy them locally because they are much more likely to have arrived by sea or land. If you are buying online choose a land/sea freight option. 95% of all people in the world have never set foot on a plane. The majority of flights are taken by a very small proportion of the population. Why should a small number of rich people take advantage of the global environment that belongs to everyone? A fair solution is that those that fly more should pay progressively more, through a frequent flyer levy.